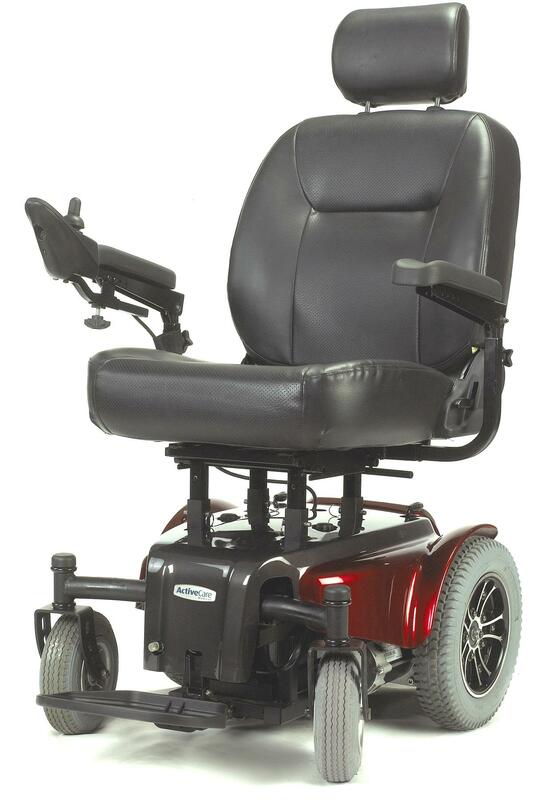 The Medalist Heavy Duty Power Wheelchair with its extra strong steel frame offers a durable and reliable performance rear wheel power chair in one package. The captain seat with deep contoured cushions and backs provides superior comfort while maintaining a long life. Almost everything on this chair is adjustable; from a reclining backrest with adjustable headrest, to the height of the chair at four available increments. The flip up armrests, which allow easy transfer, are height and width adjustable and can even be removed. The controller can be fitted onto either armrest allowing you to operate the chair with ease if you have limited dexterity. The anti tip wheels give you a feeling of safety as you cruise in the Medalist Heavy Duty Rear Wheel Power Wheelchair.